Anti-choice dirty tricks make everyone involved look slimy. A rally in support of Planned Parenthood in Washington, D.C.
Rachael, I have to admit that I’m just not a fan of disingenuous manuevering, which is why arguments from anti-choicers about Planned Parenthood needing to be “investigated” for supposed ethics violations mean nothing to me. You and I both know that the movement doesn’t give a hoot about making sure that Planned Parenthood is providing top-notch care for women, and that the constant and almost always unfounded complaints stem from anti-choice objections to the very existence of low-cost, pro-choice reproductive health care. At the end of the day, I prefer a clean fight. Anti-choice activists should make their arguments about the sinfulness of abortion and contraception directly. Anti-choicers turn to dirty tricks like bullying, clinic harassment, opening nuisance investigations, and shunning campaigns because they know that making their arguments directly doesn’t work. I’m all for a rowdy public discourse. I just hate dirty tricks and deceit. Resorting to dirty tricks like nuisance investigations reads like an admission from anti-choice activists that they know they can’t bring an end to comprehensive women’s health care by persuading the public to abandon it. This entire debacle with Komen is a perfect example of substituting dirty tricks for open and vigorous discourse. As Jeffrey Goldberg at the Atlantic discovered, Komen has no more legitimate concerns about Planned Parenthood’s ethics than the anti-choice activists that bullied Komen or Rep. Cliff Stearns, who has opened the investigation. The rule about not working with organizations under federal investigation was only created after Stearns opened up the nuisance investigation, and it’s clear that it was created to give cover for Komen to abandon Planned Parenthood. It was such a transparent attempt to help destroy Planned Parenthood—and undermine women’s comprehensive health care—that one top Komen official resigned over the whole thing. 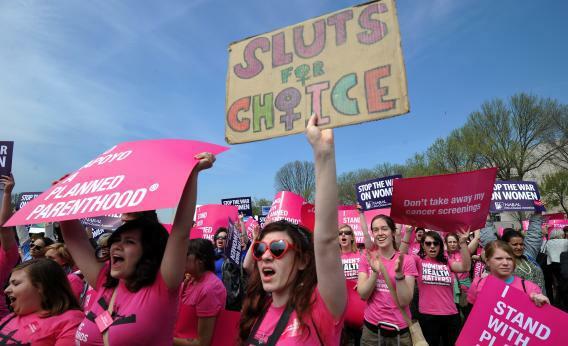 The anti-choice movement’s readiness to do an end run around the hard work of persuading the country to abandon not just safe, legal abortion but accessible contraception and STD prevention/treatment is one reason I take this issue so seriously. This isn’t just about women’s rights and women’s health, though those are both important causes. I just really cannot stand disingenuous or dirty politics. The vast majority of anti-choice politicking is through misinformation campaigns and dirty tricks. Legislators who simply want to prevent women from getting abortions pass abortion restrictions while disingenuously claiming that it’s being done for women’s health. Contraception and STD funding are being attacked by anti-choicers claiming that it’s about “abortion,” even though federal funding for abortion is already prohibited. Nuisance investigations are opened on clinics, even though they almost never turn up anything. Anti-choice activists show up at clinics to harass the patients and staff while disingenuously claiming that they’re providing “counseling,” as if they know the first thing about that. Lies claiming that abortion causes breast cancer and mental illness and that contraception doesn’t work proliferate, and often written into law or presented in the classroom. It’s maddening. The reason that people are so up in arms over this Komen situation is just this: Anti-choicers lost the argument against safe, legal abortion and accessible contraception. Instead of graciously accepting that the country doesn’t agree with them about women’s health care and responding with straightforward arguments for why they don’t think affordable and safe reproductive health care is good, they instead use junior high school tactics of trying to isolate the victim (Planned Parenthood) in hopes they’ll give up. That kind of tactic is off-putting, no matter who you are. Komen seems to realize now that they look like they’re involved in dirty tricks, which is why they’re running a five-alarm P.R. clean-up campaign on this. That Komen continues to dissemble and try to defend themselves with statements no one believes is only making it worse.